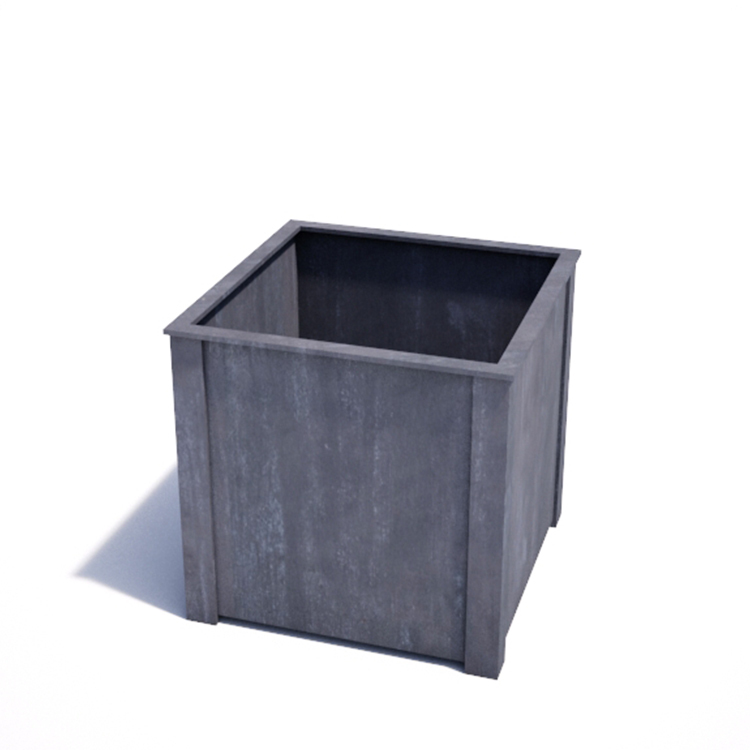 This large steel planter is made by us in Bath, Somerset. 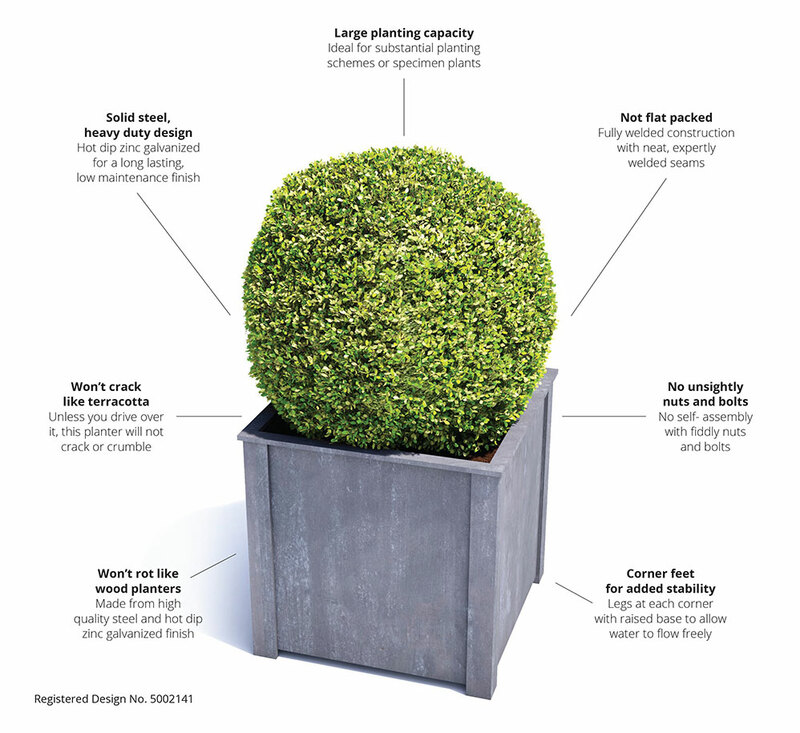 The strong corner legs support the planter off the ground, with drainage holes in the base to avoid waterlogged plants. With a zinc galvanized finish, no self-assembly is required.